with great references to Leo Tolstoy. I do appreciate the various snippets of information that Barbery includes, particularly those pertaining to Tolstoy. In fact, one of the two protagonists – Renée Michel – has a cat called Leo, and two other feline characters with Tolstoyan names emerge. 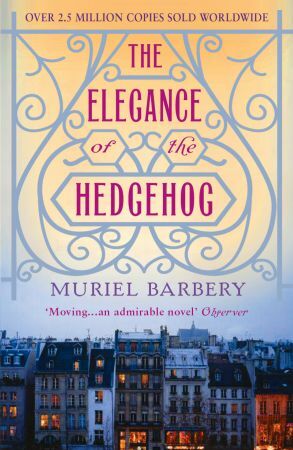 I did wonder why there were so many cats in the novel – do all French people have them?! I would never have predicted the ending. It’s a sad twist in the plot, and you can’t help but wonder if the tramp’s involvement is used symbolically. Throughout the novel Barbery contrasts and equally combines high and low society, and the ending brings this to a close. Does Barbery mean to imply that meddling with the status-quo has nasty consequences? Despite all of her questionably suicidal tendencies, I related well to Paloma (the second leading character). I generally feel the same way that she does towards noise and modern youth culture, and we both clash with our sisters! However, I’m not convinced that a person her age could be so smart. I also found myself questioning the difference between genuine and superficial intelligence whilst reading this novel. It’s a hard line to define, and I’m not sure which applies to Paloma. I wonder if she would have friends if she didn’t regard intellectual improvement as so important. I wonder the same about myself too. I’m going away tomorrow, and probably won’t be blogging for a week. I hope everyone reading this is well and enjoying the last few dregs of summer. I think I would like the snippets of information, though I am not sure whether I'd enjoy the book overall. It does sound intriguing, though. I loved this when I read it ages ago. The ending was pretty devastating though. I like the film too. I did wonder if a film had been made – thanks for clarifying that! I'll have to track it down.